After a whirlwind day at the wedding yesterday which couldnt have gone better, perfect weather, perfect venue, beautiful bride. I was sitting going through all the photos of the day & sifting through a couple of OOTD pics for the blog when the most dreaded word came up...ERROR card needs formatted!! So as my card is not letting me access any photos on it.. this post is really more of half a post. Im just praying Dave can fix it for me tomo.. 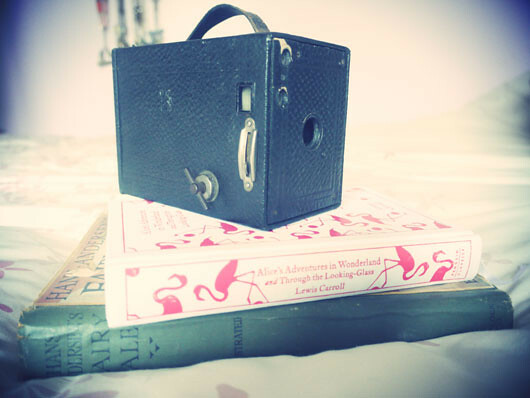 This little photo I had already managed to upload which is of my new/old kodak brownie camera that my dad found and gave to me. Im not sure if it'll work but its nice to have an old film camera to add to my collection. If anyone knows how to recover photos of a SD card when it says it needs formatted please leave a comment below or email me. Oh no that's awful! I'm sure you can sort it out though. I took a bunch of photos for a blog post the other day and when I got home to transfer them onto my computer they just weren't there. They hadn't saved and I've no idea why. Stupid technology! Oh crap! I hope you get it sorted!! There is nothing worse as you can never re-create what you took exactly. if you still have problem with this card, let me know. i can ask my sister, she's professional photographer :)!